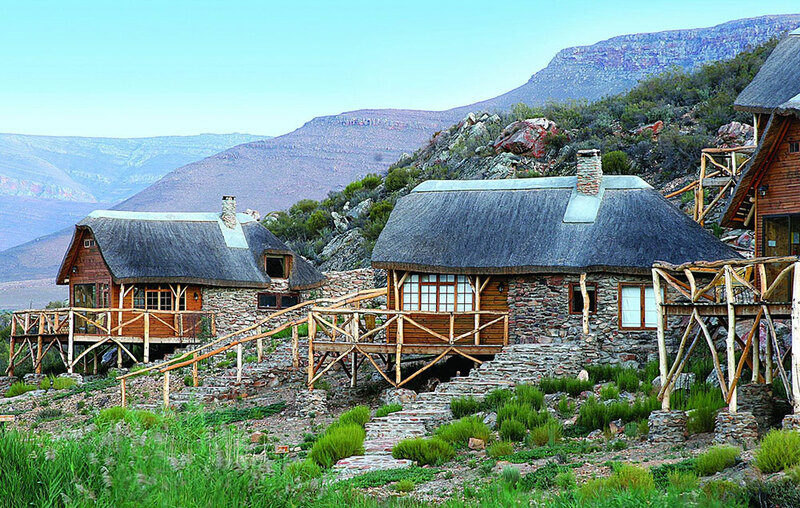 With a combination of 44 rooms spread over three floors of Aquila Lodge and some more private cottages too, Aquila is far more than merely a breathtaking experience encountering the Big Five close to Cape Town. Its conservation programmes unite with unsurpassed hospitality and a focus on social responsibility to provide its guests with the very best of Africa. Aquila is situated in the historic town of Touws River, just 175 km from Cape Town, in a spectacular valley within the greater Karoo region. Named after the endangered black eagle (Aquila verreauxii), it comprises a 10,000-hectare conservancy where a variety of species big and small can roam. Aquila lodge contains both standard, premier, and family suites. The modern styling of standard rooms includes twin or queen-sized beds and an excellent shower en-suite bathroom facilities. Premier rooms not only offer guests a little more space, but also have the advantage of large private balconies that overlook the reserve, as well as full bathrooms with separate stand-alone showers. The family suites comprise a standard and premier room connected by a lockable common passageway, making them ideal for families. Those designed for family use have an extra mezzanine level beneath the eaves encompassing the children’s sleeping area. For extra privacy, Aquila also boasts a premier luxury cottage, built to harmonize with the surrounding hillside. The subtle modern style continues into the luxury cottages, each of which includes their own patio area, outdoor rock shower, and corner bathtub as part of the interior en suite. Younger guests can find a children’s play area close to the family luxury cottages. But they’re bound to take just as much joy out of the infinity pool and traditional cuisines on offer in the restaurant. Aquila also includes a public lounge for relaxing in between game viewings, cigar lounge, wet bar for pre or post dinner drinks, and even a tranquillity spa among its many top-notch guest facilities. One of the major drawers to Aquila, in addition to its proximity to Cape Town, is the opportunity to catch sight of the Big Five – elephant, rhino, buffalo, lion, and cheetah. Though these animals were reintroduced when the reserve was founded in the late 90s, the area has long been home to a large number of other game species, including several types of antelope, which will captivate safari-goers just as much. 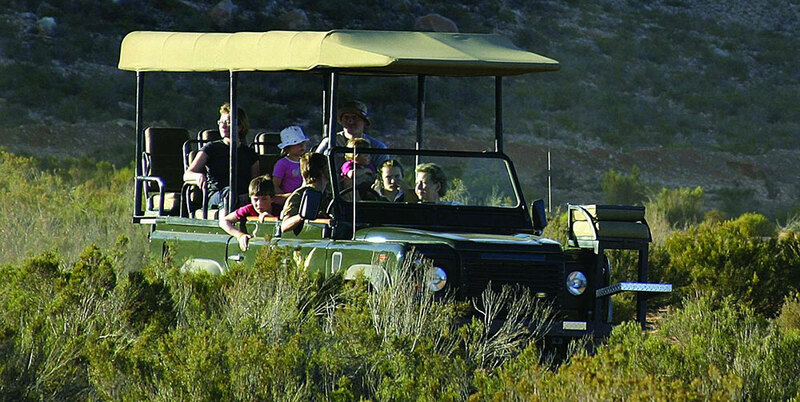 Guests to Aquila are able to view its resident wildlife by traditional safari vehicle, quad-bike or on horse-back. Safaris are offered throughout the day, in the early morning (when animals begin to stir), in the afternoon, and at sunset, another active part of the day for a variety of species. The reserve’s safari combo gives guests the best of what Aquila has to offer, combining a game drive in an open vehicle followed by a horse-back or quad-bike safari, as well as buffet breakfast and lunch. 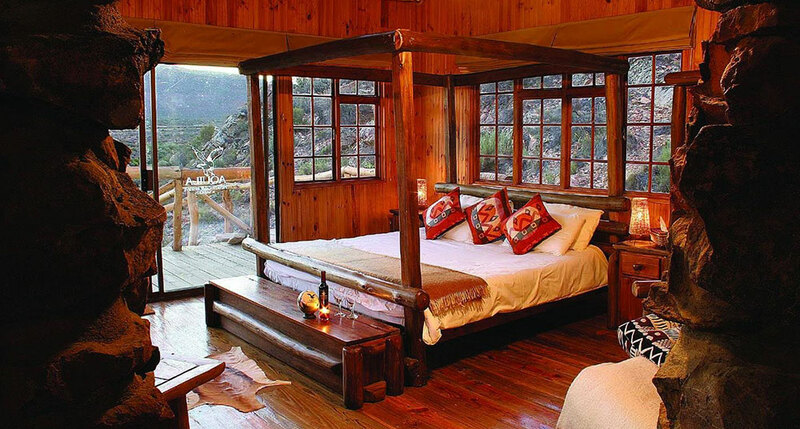 Want to see Aquila Private Game Reserve as part of a trip? Enquire today to let us help build your holiday.